Standard photovoltaic cells only harvest energy from a single surface – the side facing the sun. Israeli startup bSolar has found a way to improve upon this unidirectional design with a double-sided solar cell that is able to produce up to 50% more energy. The trick to bSolar’s bifacial design lies in the cells’ boron “back surface field”, which is used instead of opaque aluminum backing – this enables the potent monocrystalline silicon photovoltaic cells to capture light reflected by rooftops, clouds, the earth, and the atmosphere. 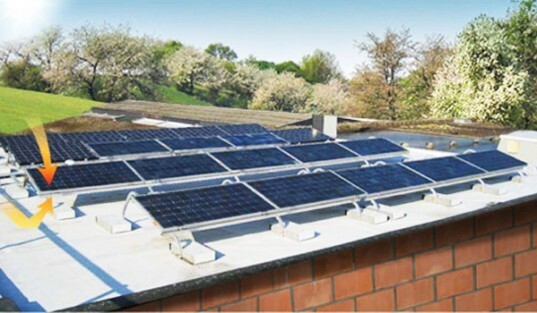 While dual-sided solar cells have been developed in the past, bSolar claims that their bifacial solar cells are more powerful, more efficient, and cheaper to produce. The company engineered monocrystalline silicon wafers to collect light from both sides of the solar cell and encased them with a boron “back surface field”, which increases the cells’ efficiency and durability. bSolar says that their design boosts electricity generation by 10-30% on flat surfaces, and by 30-50% on vertical installations such as fences and highway sound barriers. So far response to bSolar‘s bifacial photovoltaics has been strong – solar panel manufacturers interested in the technology include Aleo Solar, Asola and Solar-Fabrik, and a new 730 KW project in Japan will use the cells. 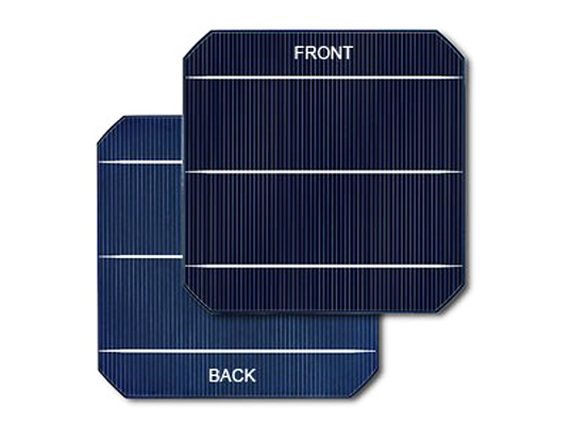 Standard photovoltaic cells only harvest energy from a single surface - the side facing the sun. Israeli startup bSolar has found a way to improve upon this unidirectional design with a double-sided solar cell that is able to produce up to 50% more energy. The trick to bSolar's bifacial design lies in the cells' boron "back surface field", which is used instead of opaque aluminum backing - this enables the potent monocrystalline silicon photovoltaic cells to capture light reflected by rooftops, clouds, the earth, and the atmosphere.